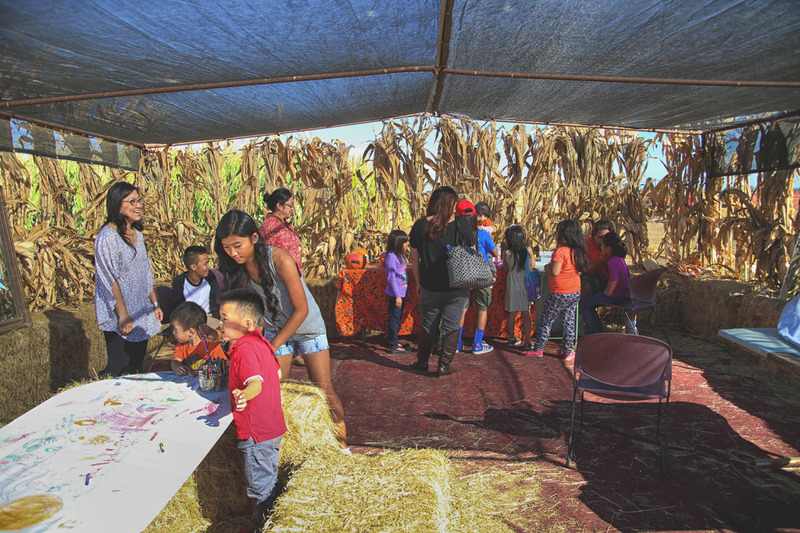 Since 1995, a fun Fall tradition for the family featuring beautiful varieties of pumpkins and gourds, a 5 acre corn maze, a hay maze, hay rides, and many photo opportunities. The Roemer Pumpkin Patch was opened in 1995, encompasses 30 acres of land and is part of a full functioning family farm with over 500 acres. The pumpkin patch area includes 13 acres of planted pumpkins of vary from sizes, colors and varieties to choose from. Come out while the pumpkins are fresh and pick them off the vines or you can also choose from a large selection of pre-harvested pumpkins. Bring gloves to protect your hands if you will be picking your own out of the field. Entrance, parking and the hayrides are all free, you just need to pay for your pumpkins, corn maze and any refreshments. 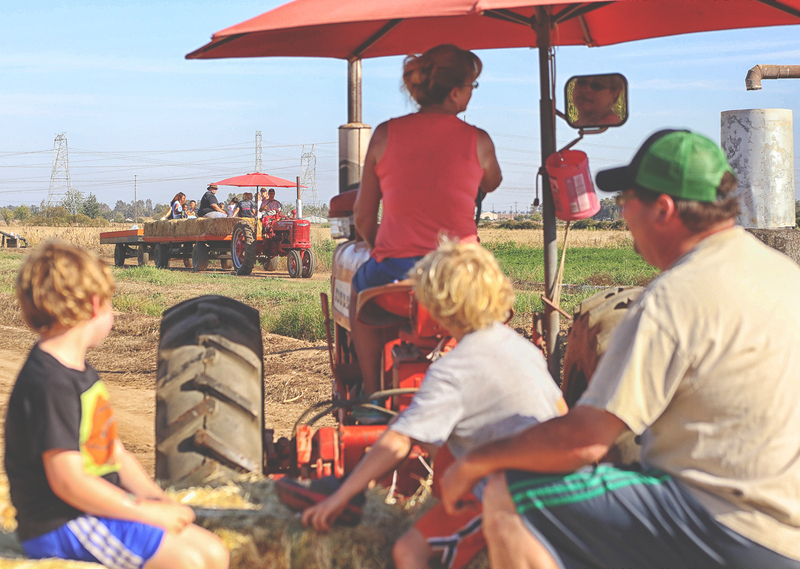 We have 4 tractors pulling hay wagons that will take you from the front entrance to the 13 acre pumpkin patch. Just climb aboard, sit down on the hay bales, and enjoy the ride. The hay rides are free, however we do accept donations. During the off-season our work horse tractors can be seen pulling heavy equipment around the farm. The 5 acre corn maze is up and ready to go with our most challenging corn maze we have ever set up. We have work hard to ensure you the best maze in town. The corn maze stands over 6 feet tall. Last entrance to the corn maze is at 4 pm. 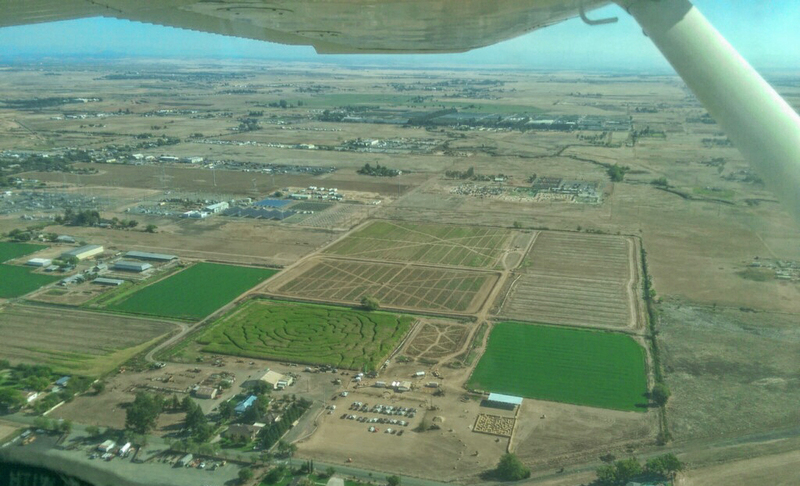 An aerial photograph of Roemer Pumpkin Patch showing the 5 acre corn maze and the 13 acre pumpkin patch directly behind it. For the little ones we have a 4 feet tall hay bale maze and hay pyramid for climbing. Thank you for Stevie for the fun video with your girls! Make your reservation today. We take reservation for school trips Tuesday through Fridays and open as early as 8am. With the help of family and friends, Danny and Judy continue to bring the traditions of the fall season to hundreds of school children in the Sacramento and Elk Grove communities. It’s also a must do for family, friends, and their many faithful customers who return each year for the beautiful variety of pumpkins and gourds that they grow. We also provide hay rides, face painting, refreshments, covered picnic area, photo stations, and most important of all great hospitality. Please contact us at 916.381.4331 and make your reservation today. 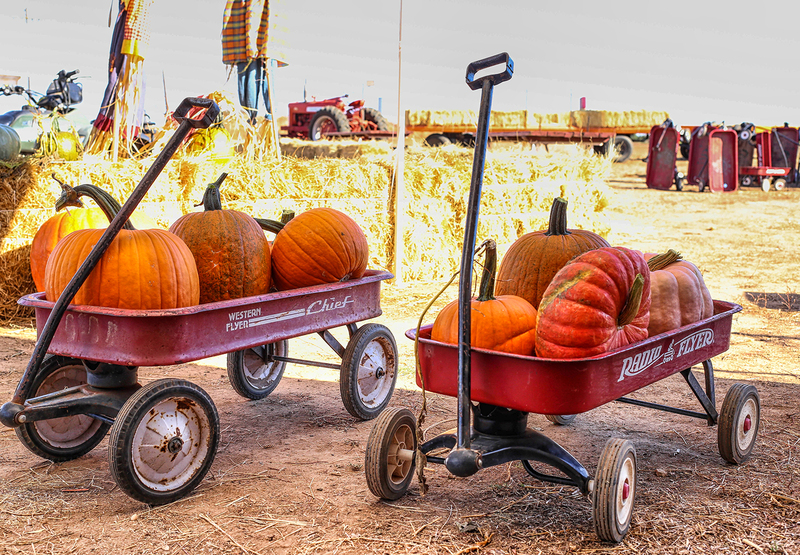 At Roemer Pumpkin Patch wagons are provided for your family to pick your own pumpkin off the vines. If you run across a wagon that may need some maintenance please let the employees know. We want to ensure you have the best possible experience here at Roemer Pumpkin Patch. Go South on 99 or Watt Rd. The Roemer’s have been farming Sacramento County land for 130 years and look forward to many, many more years of farming.